Today, the NSPL is broadcasting live coverage of it's Round One: D7s (Dartford) event to the world via this web site. We will be keeping you up to date with all the action, including all the latest game results, photos of the action, and written commentary. 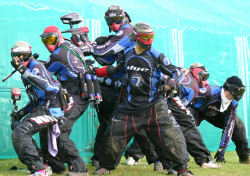 For the first time in UK paintballing history, the NSPL brings you live webcasting of its first event in the 2007 season. As promised, we will be covering Round 1 at Dartford with live written commentary, photos of the action, and more. You can find out all about the teams attending this event by clicking on their team names and logos listed above. You can watch the action unfold by refreshing this page frequently to see the latest scores. You can talk to other webcast viewers by jumping over to the NSPL forums. Make sure you have a good look around and come back often throughout the day to keep up to date with the latest NSPL action. Well the games are under way here at the first NSPL of 2007 down in Dartford, First game on Maidenead Trauma Vs Outrage UK, Unfortunatly Outrage haven't shown up, so full points to Maidenhead. Next up we had Steelers AM Vs Samurai, Samurai collected the first Eclipse flag with the first Max of the 07 season, congratulations to Samurai. The sun is shining her in Dartford, after all the rain that has fallen here there are no complaints, even the slight wind is'nt making much difference to the teams on the field. 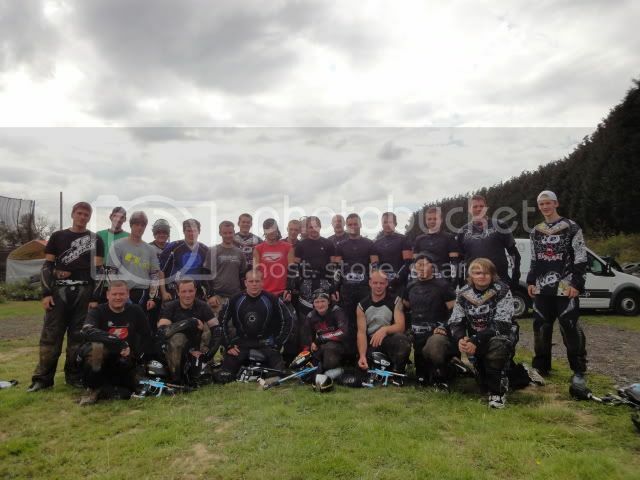 After a slow start from Stealers AM, they have one there next two and are currently in 2nd behind Samurai. Some of you may have noticed the strange score put in by Swarm... Unfortunately, after killing all the other team, with some of their team still alive they then hung the flag in their own base, giving MK Sabotage the 3 points. The Swarm player involved will be trying to live that one down for some time to come - hopefully, lesson learnt! Lunch is here and so far it all going well. In Group A, Samurai are leading with Stealers AM just behind. In Group B Basic are Ahead with 10 points. Group C is being lead by A.P Havoc. Lunch is just about finished so stay tuned for the afternoon scores. The afternoon session has begun, Samurai have continued where they left off before lunch winning their game against Stealers AM with 3 alive. In Div 4 first game after lunch saw Watford Instinkt win against Rush Kids with all Five alive. With the afternoon going somthly with both refs and players enjoying themselves we have got chance to update the scores: Div A being is being led by Samurai Div B is being led by Swarm Div C is being led by A.P. Havoc Div B is especially close with only 1 point between the top two teams. The day has ended with A.P Havoc topping Div C and bagging valuable points for their Division 4 campaign. Swarm took the top spot in Group B with an impressive NSPL debut appearence. Samurai suprised many by finishing top of the pile in Group A.- serious contenders for Division this season? Its been a long but eventfull day down here at the D7's site and there is a pleasent feeling of things to come from Syd and the NSPL in 2007. Roll on Round two next week so we can enjoy some more action and maybe get some insight in to how the rest of the season may unfold.